Labor Day officially marked the end of summer break and the start of a new academic year at Wakefield University. Usually a time of excitement and stress for all involved, this year, Alexa Coughlin was actually feeling fairly lighthearted as she finessed her way through one of Wakefield’s crowded parking lots. She was headed toward the rear entrance of the College of Liberal Arts, where, at the request of the school’s president, Peter Kingston, she would be working for the next several weeks. He’d asked Alexa to split her time between her regular job as his chief aide, and the position of assistant dean at CLA. Peter needed her to keep an eye on the school’s dean, Andy Pratt, who had a not entirely undeserved reputation as a ladies' man. This wouldn’t have been of much concern if the ladies hadn’t included members of Wakefield’s student population. In fact, Andy had just survived the most recent complaint of sexual harassment by a student, and Peter wasn’t taking any chances with the man he’d appointed as interim dean over the strident objections of the school’s faculty. Considering the level of cutthroat politics Alexa was routinely required to traverse, she thought her temporary assignment in CLA would be a piece of cake. For the past month this had proven to be the case, and she had, indeed, been enjoying this small respite from the full weight of running the day-to-day operation of the president’s office; a responsibility that she’d taken on at a very young age and had now been handling for almost eight years. Taking stock of the new arrivals as she moved among them, Alexa took pleasant notice, that she was still as slim and fit as any of the eighteen-year-old freshmen who were currently engaged in moving into their dorms. Now in her mid-twenties, she was, as it happened, also more beautiful than most, but while vanity was not unknown to her, Alexa wasn’t quite self-absorbed enough to be making that particular comparison. Holiday or not, Labor Day was essentially a regular workday at Wakefield, and in her temporary role as assistant dean, Alexa was on deck to help out as best she could. As she approached the building, Alexa saw what she believed to be Associate Dean Carol Froman’s car. 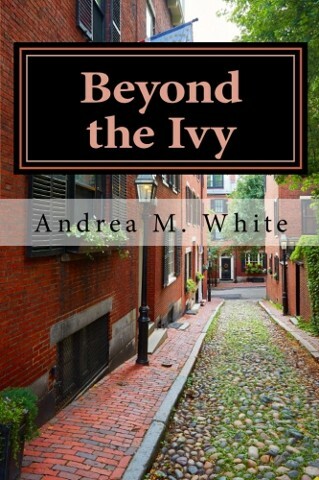 There was nothing unusual about that, as it was parked in the spot reserved for Carol, but as Alexa came closer, she noticed what appeared to be holes and cracks in the side and rear windows. There was also a small amount of glass on the ground. The car was in an isolated area, tucked up against CLA’s brick façade, and unless you were entering the building by the locked rear door, as Alexa was, you wouldn’t have seen anything amiss. Wondering if it had been vandalized or if there’d been an accident, she went over to get a better look. It appeared to her as if the holes in the glass could have been caused by bullets, but she thought that was highly unlikely and wasn’t too concerned as she tried to peer inside. There wasn’t anything at all unusual in the back seat, but when she looked through the driver’s side window, she got quite a shock. A woman, who she assumed was Carol, was sitting in the driver’s seat, slumped with her head on the steering wheel, looking quite dead. “Holy God,” Alexa said aloud, “not another murder.” She quickly tried to open the doors, but they were all locked, then she pulled her cell phone out of her bag and called 911. Her next move was to call Boston homicide detective, Michael Foley. Wakefield's Beacon Hill campus was only minutes from both Massachusetts General Hospital and Boston’s district one police station. Through the phone, Mike could hear the sirens from their approaching response vehicles. “That’s good. Sounds like help’s on the way,” he said, glad that she wasn’t on her own anymore. “I’ll be there in a couple of minutes.” Mike hung-up the phone, popped a siren on the roof of his car, and sped off in her direction. Alexa directed the EMTs and police to the victim’s car, then stepped back out of the way to let them work. The third call Alexa made was to her mentor and friend, Peter Kingston. “Oh God Alexa, that can’t be true. What’s happened?” Peter asked, hoping that she was somehow mistaken. “I’ll be right there,” Peter said, more than a little discouraged by this news. He had, after all, just experienced an academic year tarnished by scandal that had culminated with the murder of Jack Doyle, the school’s vice president for financial affairs. If there was another murder, it didn’t bode well for Peter’s plans to get the university back on a positive track, or, for that matter, keep his job. The Boston police had started to secure the area, and the Wakefield University police had begun to institute a campus alert. This was going to be a tricky process with half the students still moving in and, at present, a serious number of them in fairly close proximity to the crime scene. Once they opened the victim's car door, it was evident to even the most untrained eye, that the woman was dead. Detective Michael Foley arrived, jumped out of his car, and scanned the scene looking for Alexa. He was relieved to see her standing safely by the building’s rear door. That concern alleviated, he quickly turned his attention to the crime scene and walked over to Officer Art DeFelice. Art had been the responding officer the morning of the Doyle murder, as well. As they spoke, Detective Donald Hunt pulled in. He parked his prized and pristine nineteen sixty-six Mustang next to Mike’s more generic gray Jeep, and headed toward the assembled group with the large black bag that held his evidence kit. The two detectives had worked together for about three years, and Mike had called him immediately after hearing from Alexa. Don placed the black bag on the ground, pulled out his camera, some plastic gloves, and joined Mike standing by the open car door. Putting on his gloves, he carefully picked up the woman’s pocketbook from the car floor, removed her wallet and handed her driver’s license to Mike. He also grabbed the registration from the car’s glove box and shared it with his partner. The registration confirmed that the car belonged to the deceased. As was their routine, Don would handle most of the forensic examination and Mike would secure the scene while also beginning to interview any witnesses. Don would, as usual, forgo the use of Boston’s Crime Lab Unit, and do the on scene forensic investigation, himself. When necessary, he had no objection to working with the CLU but, for the most part, that was only when time, logistics, or manpower were an issue. The department had even authorized him to set up his own small lab, adjacent to the detective’s office at District One. This small eccentricity was allowed because Don Hunt was an expert and got results. In his mid-fifties, he was at the top of his game. Still young enough to have an interest in mastering the latest computer applications and experienced enough to have seen almost everything. In this case, the crime scene evidence was going to be minimal. The shots were through the car window, so it was just a matter of determining where the shooter stood and seeing if they’d left any evidence behind. Unfortunately for the investigators, this parking lot was cleaned at least twice a day by the university facilities team, and it was unlikely that they’d find anything that the shooter might have inadvertently discarded. Starting the task of interviewing witnesses was of more than a passing interest to Mike, as it had been Alexa who’d found the body. The two had met the previous spring, when he and Don were the detectives charged with solving the Doyle case. A romance had developed between the pair and that relationship had now been going strong for the past two months. Taking the ID that Don had given him, Mike went over to the doorway where Alexa was still standing.